Collect existing, 3rd party learning environments to be used via one place. Create and collect learning material. Dream Diary is based on the concept of tasks, works and materials. This is what happens in schools and at work: you are given a task, and you start collecting existing and creating new material in order to do the work that fullfills the task. With Diary you can create networks out of the tasks so that they are presented in a meaningful order. As a teacher, you can view students answers i.e. work to the tasks. The cloud-based material used in tasks and works can be diverse. For example, some content you have created in Google Docs, a Wikipedia article, a Youtube video, a link to any other web page etc. 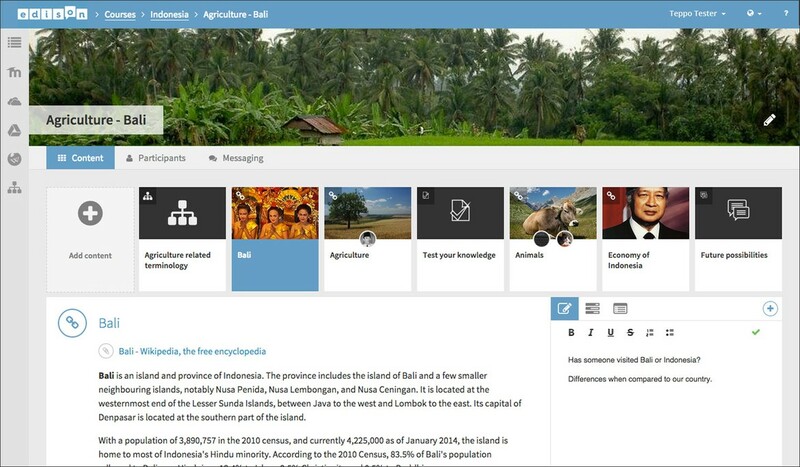 With Diary, teacher can create courses consisting of lessons, which consist of the learning networks with tasks. Students collect over time a learning history out of the content they have created and collected during the courses. No work is lost, and may be reused later on.